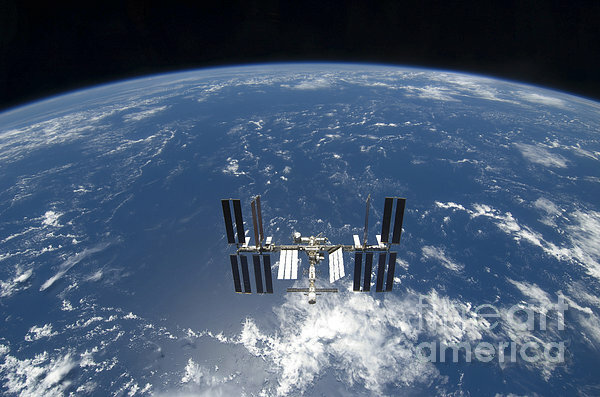 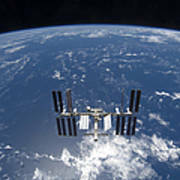 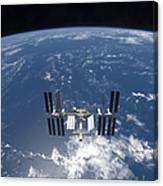 March 25, 2009 - Backdropped by a blue and white Earth, the International Space Station is seen from Space Shuttle Discovery as the two spacecraft begin their relative separation. 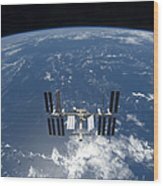 Earlier the STS-119 and Expedition 18 crews concluded 9 days, 20 hours and 10 minutes of cooperative work onboard the shuttle and station. 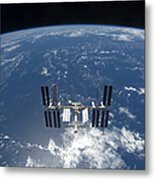 Undocking of the two spacecraft occurred at 253 p.m. (CDT) on March 25, 2009.